When the Third Generation Volkswagen “New”Beetle begins its swan song next year to leave at the end of 2019, there will be a record of successes and setbacks, happiness and sadness stemmed from the iconic halo car’s third rebirth that has defined not only another generation of people as the Classic Beetle did, but also what the next car should be, as that might possibly be their 100 year anniversary model, and what it is for a car to now be a Volkswagen. Especially for the next electric one, Beetle 4. 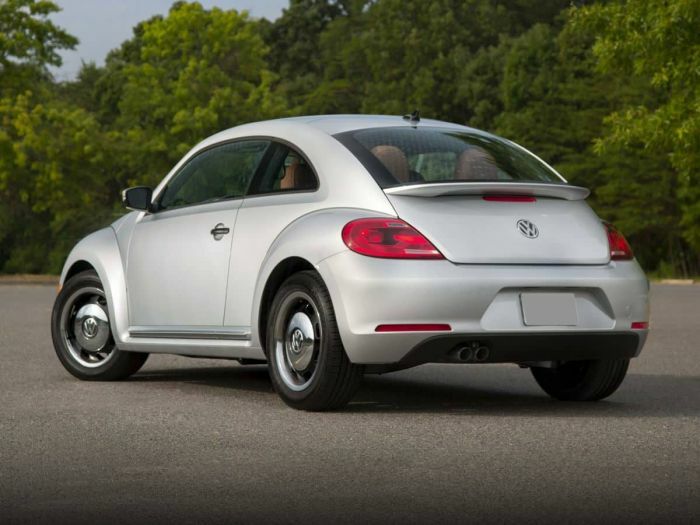 Volkswagen is considering bringing back the Beetle as an all-electric car. Imagine a new VW Beetle EV sedan. Statement wording indicates VW is looking to also put the Bug on its sole purposed dedicated BEM platform for EVs only, like it will the Bus, ID, etc. It’s hard to believe it’s been about 35 years since the Classic Super Beetle said goodbye to the US market to swan song around the world until the last Super Beetle rolled off an assembly line in Mexico, for it to become officially retired and history. Now it’s time for her little sister, Beetle 3 to do the same, as she waits for her next baby sister Beetle 4 to debut sometime in 2022. They’ll be three years apart for the transition. It’s still a long way off especially in Car Land. Now, in some 80-90 year history of the People’s Car, there was always talk of making a four-door variant but it never got off the ground, and frankly, I think VW was always risk-averse to sedans through the 80s. When they started to develop Audi, that’s when they got over themselves. But when VW was developing what would eventually be the last version of the Classic Beetle, and that was the Super Beetle, they were thinking of a 4 door variant, and developed a full-scale model prototype that kind of looked like a 911 4-door. We almost forget who had a hand in making the original car. He was no longer with us by 1951, but I believe by the 70s there was a grumbling somewhere for a 4 door version. It never flew. Ferdinand was that you? Volkswagen just needs to be careful whatever they decide to do. If they do Beetle 4 right, it may sail into the 21st the way Beetle 1 did through the 20th. And I think that’s at least close to what VW wants to do: see how long and far they can stretch out that MEB platform. If Beetles 1 to 3 lasted as long as they did, good chance Beetle 4 or a variation will live on to be their 100th anniversary Beetle Model. Although you can pin production year to 1938, the Beetle was born way before then. So unless VW does something different for the 100 year Beetle, whenever 100 years is, if Beetle 4 becomes as popular as Beetle 1 was, they may not need to do anything at all or little. Have a good rest, the People’s Car. See you soon!